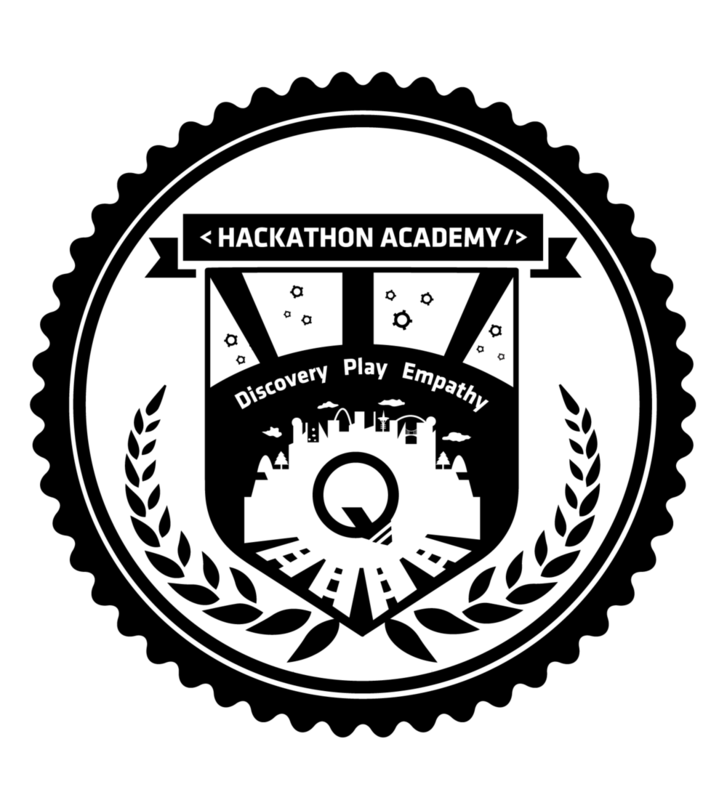 Hackathon Academy is a three-day STEAM-based pop-up school that utilizes a model of immersive learning engagement that introduces coding, art design, and product development to high potential, low opportunity youth. Trailblazers (youth participants) create teams alongside their mentors (adult professionals and experts) to rapidly prototype, test, and pitch a unique solution to the world’s biggest problems. Launched in 2013 in the wake of the Trayvon Martin American tragedy, Qeyno (then Qeyno Labs) took a leap forward from software development to moonshot a hackathon experience with Startup Weekend that would address the question, "Could an app have saved Trayvon Martin?" After the groundbreaking success of the first hackathon for Black Male Achievement in Oakland (CA), Qeyno created a pop-up school experience that modified the traditional hackathon model to make it accessible to low opportunity youth and a healthy environment for all youth. Hackathon Academy has served clients from celebrities such as Prince to nationwide initiatives like President Obama's My Brother's Keeper call-to-action. As our pop-up school model is replicated by companies and organizations across the globe, Hackathon Academy continues to be the home for teen hackers solving the world's biggest problems. STEAM-focused Learning: STEAM stands for Science, Technology, Engineering, Art Design, and Mathematics and is an intersectional focus that brings various disciplines together to meet the needs of our growing information age economy. Our pop-up schools provide participants the opportunity to upload their ideas and solutions by building web and mobile apps. Hackathon Academy's curriculum includes art design in our programmatic structure and the participation of artistically-inclined students. Asset-based approach: Language matters and youth participants are never described or perceived as: low income, disadvantaged, poor, or any moniker that doesn't exalt their genius and potential. They are perceived and treated as assets and not liabilities. Trauma-Informed Practices: We utilize a non-hierarchical, highly participatory "Sanctuary Model" to formulate a setting that invites them to share and express themselves fully while engaging their internal motivational barriers through our "health breaks" during interval parts of their immersion. Rapid-Prototyping: Trailblazers learn how to build and test their ideas to create agile solutions. By tapping into their improvisational and creative faculties, we engage their approach to problem solving and critical thinking to include the rapid ideation and development of their dreams. Micro-Mentorship: Professionals are very busy and find it difficult to establish mentor-mentee relationships. Hackathon Academy uses a micro-mentorship approach that uses immersion to cultivate the relationship between Trailblazer and their mentor. Post-hackathon, many of our Trailblazers and mentors continue their relationship and strengthens the trailblazer's relationship to their field of interest. Empathy Spillover: Mentors are provided coaching prior to their interaction with Trailblazers and are encouraged to challenge their existing narrative about our Trailblazers and their background of experiences. Mentors are then able to connect their experiences directly with Trailblazers to create an empathy spillover that is inspirational for both Trailblazer and Mentor. For more information about our program model, please click here. • Admission to our expansive network of partners providing internships, camps, etc. Is Hackathon Academy free for my child? Yes, all participation in Hackathon Academy is subsidized upon acceptance of their application and enrollment to become a Trailblazer. Do students require prior knowledge of coding or computer science? No. Enrollees are not expected to have any background or prior exposure to coding. I would like to be a mentor, but i am not a person of color. am i welcome? Yes, mentors of all backgrounds are encouraged to apply (there is an approval process to determine community fitness) to create an inclusive experience for all. Does my child need a laptop to participate? We highly encourage students bring their own laptops; however, we do provide donated laptops for students to use during the hackathon. If you would like to donate a working laptop to be used by our students, please click here. how can i support the work of qeyno?